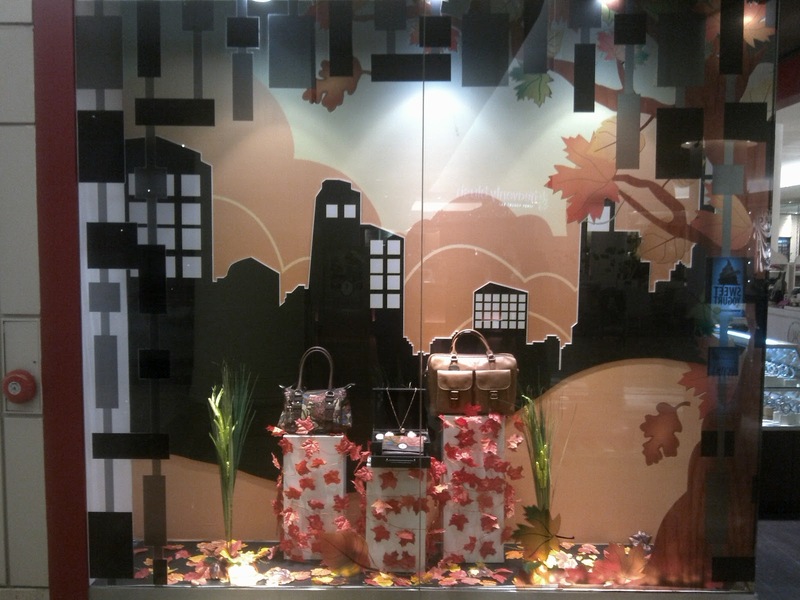 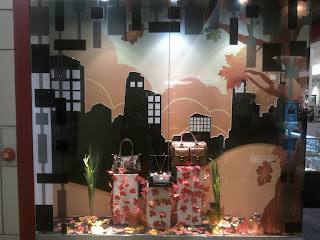 Urban Icon welcomes this year's fall season with window display that features the falling leaves. 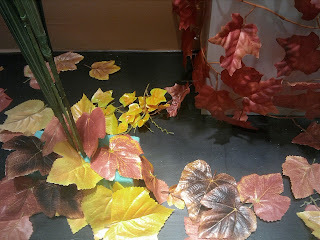 This red, brown, yellow leaves are spreading everywhere from the sticker in the glass window until laying on the ground. 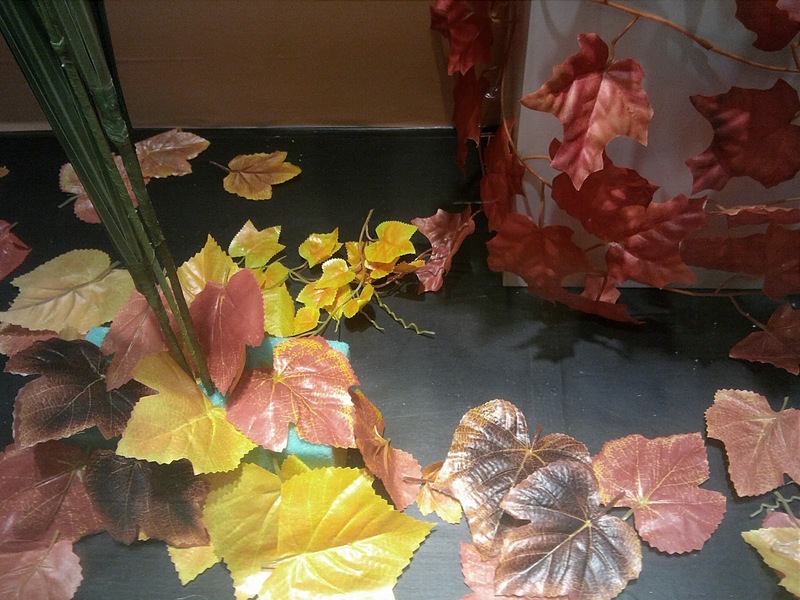 However, there are two green plants that are not appropriate to be put around them. 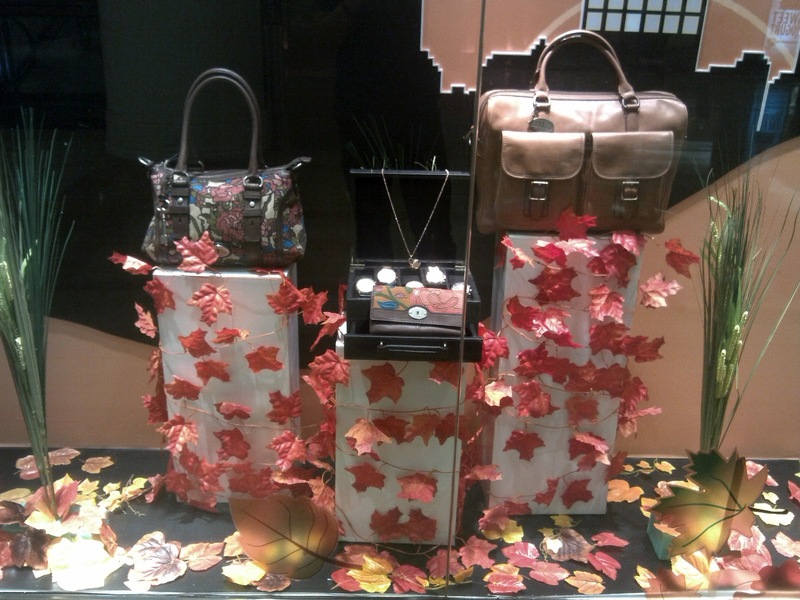 Nice try though.